One of my very first dates with Max was to watch a meteor shower (the Geminids). We were both living in California's Bay Area at the time, so we had to drive a while for a good viewing spot. Our neighborhood now in Arizona actually has ordinances against light pollution (we don't even have street lights!). 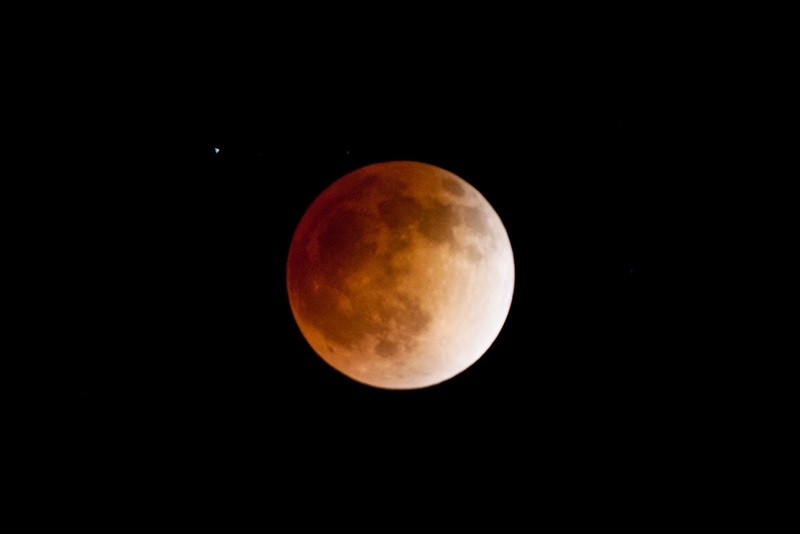 We're also at a higher elevation than most of Scottsdale, so we get really good star gazing almost every night, and it's perfect for big events like last night's lunar eclipse! We also lucked out that we have clear skies almost nightly and didn't have to worry about fog blocking our view like in some areas of the country. 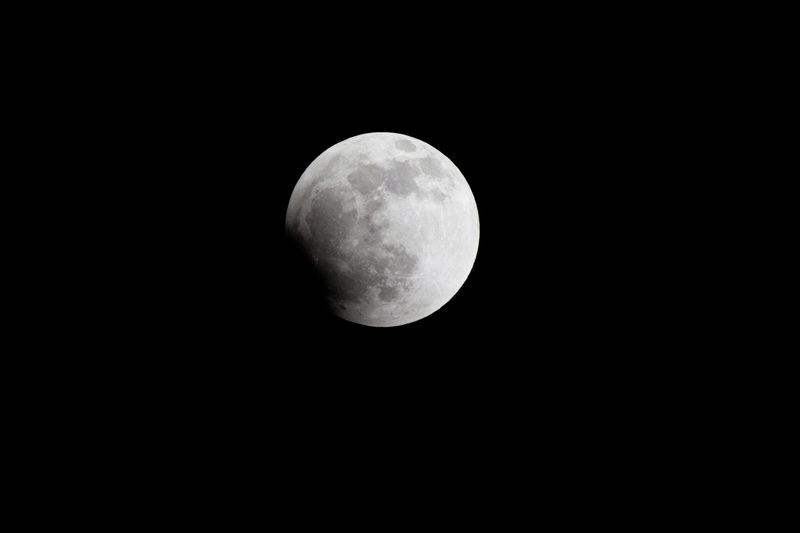 We peeked outside around 11:00pm to catch the beginning of the eclipse, which looked like a bite had been taken out of the full moon. Husby used his Canon 5D to take photos of the event (plus he used a mondo lens with a doubler). The moon was super, super bright viewing with the naked eye, and I love all the detail that can be seen in the photo! In contrast, here's what I snapped with my iPhone camera. This was my best shot out of several. It totally gives me an appreciation for nice camera gear (plus husby's raw talent, of course!). 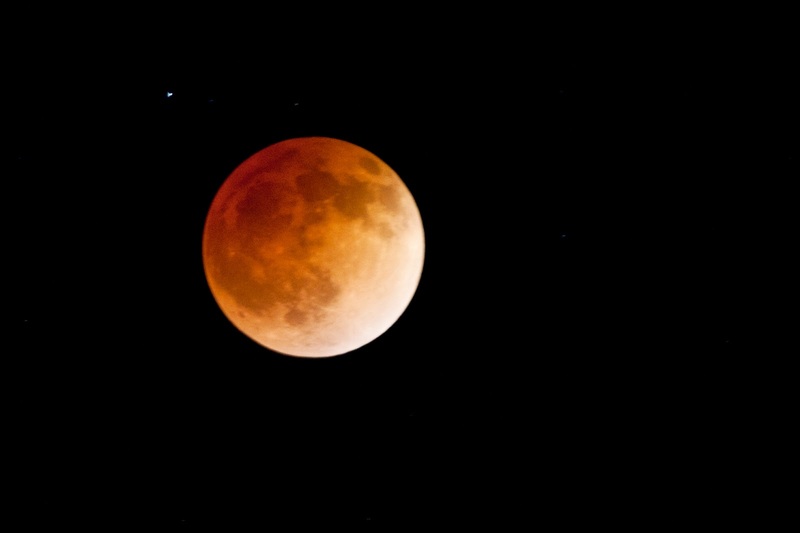 If you missed the blood moon, the next one will be in October! Happy gazing! Wow! What amazing photographs! Your husband is super talented. Thanks for sharing. Great photos! I stayed up waaay late here in the Central Time Zone....but my iPhone was the best I had to capture the event. Appreciate see these good shots!